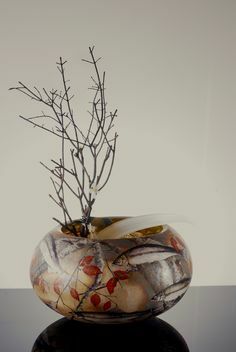 Deanna Clayton has been working with glass for over twenty-five years. 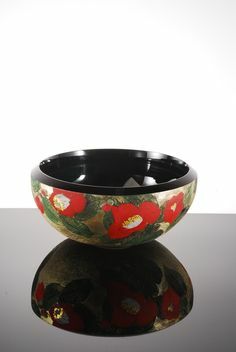 She was introduced to glass right out of high school while earning her Associates in Fine Arts degree in Bucks County,Pennsylvania. Deanna wanted to continue her education in glass. Research showed the glass program , taught by Henry Halem, at Kent State University to have produced some of the most successful glass artists working at the time. After two years at Kent State University she moved to Champaign-Urbana, IL to attend the University of Illinois and finished her Bachelors Degree. 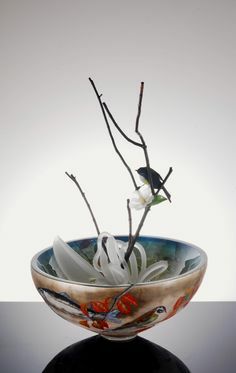 While still attending the University she started her glass studio. She worked in central Illinois for ten years and then discovered beautiful Door County, Wisconsin which is where she lives and works currently. Today Deanna’s work can be seen in public and private collections around the world. 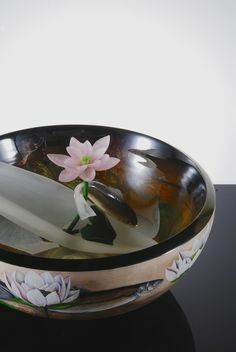 2008 “Most Unique Interpretation of the Vessel”, Habatat Galleries, Boca Raton, Florida. 2007 35th Annual International Glass Invitational, Habatat Galleries, Royal Oak, Michigan. 2006 34th Annual International Glass Invitational, Habatat Galleries, Royal Oak, Michigan. 2005 33rd Annual International Glass Invitational, Habatat Galleries, Royal Oak, Michigan. 2011 “Einlandung”, Solo Exhibit, Continuum Gallery, Konigswinter, Germany. 2011 SOFA Chicago, Sherrie Gallery, Colombus, Ohio. Habatat Galleries, Royal Oak, Michigan. 2011 Habatat Invitational, Habatat Galleries, Royal Oak, Michigan. 2011 Solo Exhibition, Habatat Galleries, Palm Beach, Florida. 2010 SOFA WEST, Habatat Galleries, Royal Oak, Michigan. 2010 “Glass Uprising”, Swanson Reed Gallery, Louisville, Kentucky. 2010 Habitat Invitational, Habatat Galleries, Royal Oak, Michigan. 2009 Art Palm Beach, Habatat Galleries, West Palm Beach, Florida. 2009 “Rising Stars” Group Exhibition, Museum of American Glass, Wheaton, New Jersey. 2009 SOFA Chicago, Habatat Galleries, Royal Oak, Michigan. 2009 Solo Exhibition, Habatat Galleries, Boca Raton, Florida. 2009 Solo Exhibition, Habatat Galleries, Tysons Corner, Virginia. 2008 Habatat Invitational, Habatat Galleries, Royal Oak, Michigan. 2007 SOFA Chicago, Habatat Galleries, Boca Raton, Florida. 2007 “Modern Fusion” , Katie Gingrass Gallery, Milwaukee, Wisconsin. 2007 Solo Exhibition, Habatat Gallery, Tysons Corner, Virginia. 2007 Group Exhibition, Muskegon Art Museum, Muskegon, Michigan. 2007 “The Vessel Explored”, Habatat Galleries, Boca Raton, Florida. 2007 Habitat Invitational, Habatat Galleries, Royal Oak, Michigan. 2007 “Changing Definitions, Muskegon Museum of Art, Muskegon, Michigan. 2007 Solo-Exhibition, Habatat Galleries, Boca Raton, Florida. 2007 Art Palm Beach, Habatat Galleries, Boca Raton, Florida. 2006 SOFA Chicago, Habatat Galleries, Boca Raton, Florida. 2006 “Marriage of the Minds“, Fairfield Museum, Sturgeon Bay, Wisconsin. 2006 “26 From The World of Glass”, Dennos Museum Center, Traverse City, Michigan. 2005 SOFA Chicago, Habatat Galleries, Boca Raton, Florida. 2005 Solo-Exhibition, Pismo Galleries, Aspen. Colorado. 2005 Solo Exhibition, Habatat Galleries, Boca Raton, Florida. 2005 Palm Beach 3, Habatat Galleries, West Palm Beach, Florida. 2004 SOFA Chicago, Thomas R. Riley Galleries, Chicago, Illinois. 2004 Solo Exhibition, Thomas R. Riley Galleries, Cleveland, Ohio. 2004 SOFA New York, Thomas R. Riley Galleries, New York, New York. 2004 Habatat Invitational, Habatat Galleries, Royal Oak Michigan. 2004 Palm Beach Contemporary, Thomas R. Riley Galleries, West Palm Beach Florida. 2004 “Glass: A View Within”, St. Petersburg Arts Center, St. Petersburg, Florida. 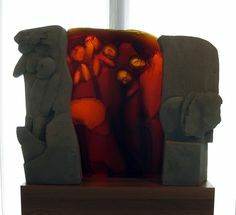 2004 “It’s a Warm Heat”, Philabaum Glass Gallery, Tuscan, Arizona. 2003 Group Exhibition, Duane Reed Galleries, St Louis, Missouri. 2003 Habatat Invitational, Habatat Galleries, Chicago Illinois. 2003 SOFA Chicago, Thomas R. Riley Galleries, Chicago, Illinois. 2003 Glass Weekend, Thomas R. Riley Galleries, Wheaton Village, Millville, New Jersey. 2003 SOFA New York, Thomas R. Riley Galleries, New York, New York. 2003 Solo Exhibition, Habatat Galleries, Boca Raton, Florida. 2003 ARTforum, Thomas R. Riley Galleries, West Palm Beach, Florida.